I've been doing the row by row quilt, a row each month so I can't show you that. 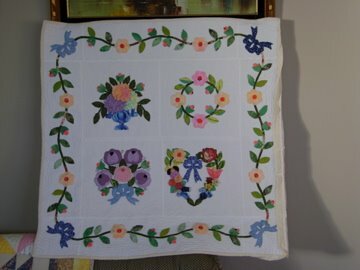 I have made a quilt for a little 6 year old (well just the top for now I have until October to finish it). This is a community quilt. 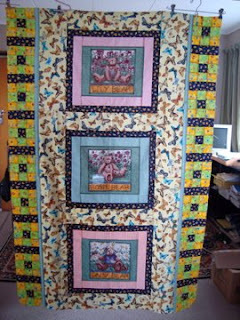 My quilting club that I belong to makes community quilts every 2 years so here is a photo of my contribution.